Dallas, TX, August 2018 – LAI Games is bringing its award-winning VR to even more locations. 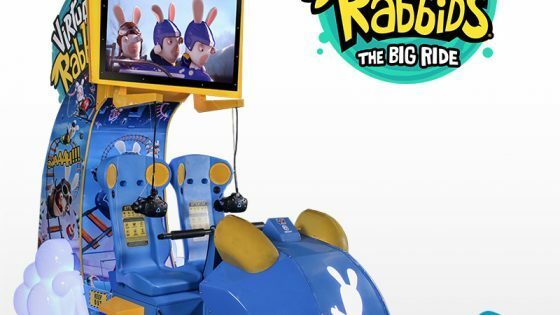 The company now offers a new, shorter version of their hit Virtual Rabbids: The Big Ride that is suitable for cruise ships and other locations where there are height restrictions. The new model is nearly identical to the original, with the only differences being a smaller video screen and the absence of the top marquee and side headers. The height of the smaller unit is 99.9 inches (254cm), a full 36 inches (91cm) shorter than the original. 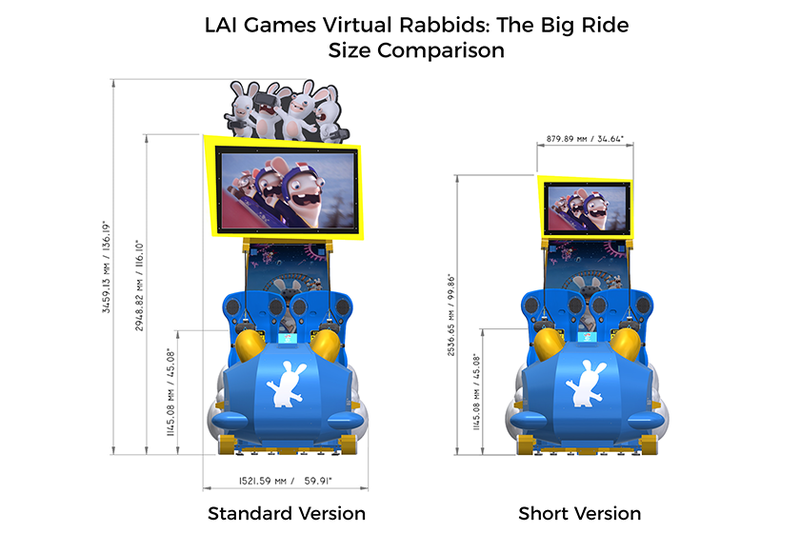 Although it can currently be found on the Norwegian Cruise Line (NCL) ship Norwegian Bliss and is coming soon to Carnival Cruise Lines, it is suitable for all types of venues where ceiling height will not accommodate the standard version of Virtual Rabbids. 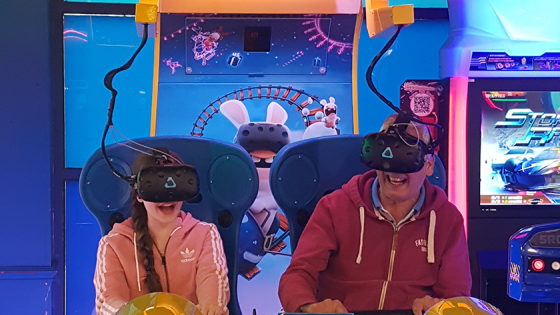 Virtual Rabbids: The Big Ride is the industry’s first attendant-free VR attraction that operates and is serviced like any other coin-op amusement game. 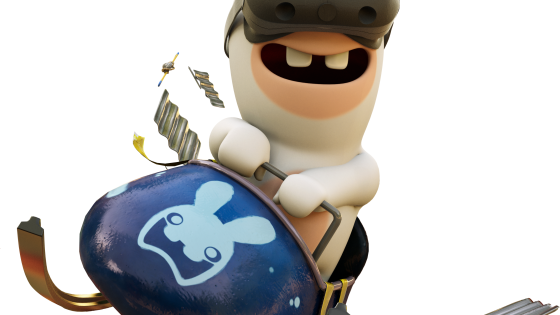 It was created in partnership with pioneering video game developer Ubisoft and features the global powerhouse Rabbids brand in three thrilling experiences suitable for all ages. For more information contact our sales team or your local distributor. Follow Helix Leisure and LAI Games on LinkedIn for more updates.